Quick! 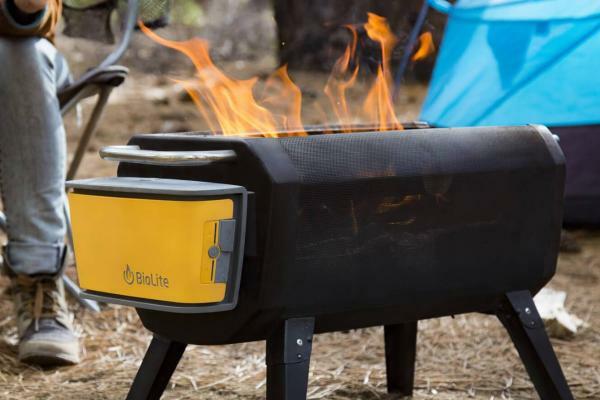 Who REALLY needs an electric, smartphone-ready outdoor grill? But it is precisely for this reason that it is sad to see stuff like this advertised as a great First World Problem solver, rather than to really improve people’s lives, and save them. Stuff like this needs to exist, and be sold in the millions. But its “buyers” should not be (relatively) rich western suburbians and picnic goers too lazy or incompetent to occasionally enjoy “all the coziness and conviviality of a wood fire” without throwing non-recyclable electronics at it. Depending on who you ask and how you measure it, cooking every day indoor on wood stoves kills from two to four million people every year (see also here and here for more details). If grills like this have to exist (and they have!) their primary target should be those people. Products like this should have Open Source, patent-free designs, and be optimized, both for costs and ease of maintenance, for people who have no other choice than burning wood every day to eat, and today get sick for that. Yes, I do know that there are projects of this kind going on. Still, it is sad to see products that may do a lot of good, first optimized (“Bluetooth-controlled”!!!) and then enthusiastically advertised to solve false problems for people with enough money.